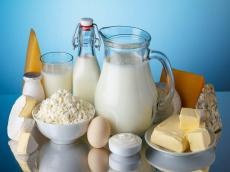 "Parakhat" local enterprise in Turkmenistan has started production of dairy products at the plant, commissioned in the Metropolitan residential area of "Yalkym", the Union of Industrialists and Entrepreneurs of Turkmenistan (UIET) said in a statement. The production capacity of the plant is 180 tons of processed milk per day. In total, 26 types of products will be produced here: pasteurized milk, kefir, yogurt, cocktails and others. The investment project was implemented with the participation of TetraPak company - the world leader in the processing and packaging of food products. "The modern high-tech enterprise has no analogues in Turkmenistan. The innovative European technologies of ultra-pasteurization of milk and manufacture of a variety of dairy products with a long shelf life are applied here for the first time in our country," the message says. The entire production process is computerized. The strict control and examination of all indicators of safety of the products is carried out in the modern laboratory equipped with the European high-precision devices.